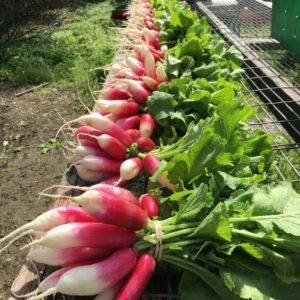 New Beat Farm is a MOFGA Certified organic farm growing vegetables, cut flowers and pasture raised lamb in the heart of Waldo counties rich agricultural community. 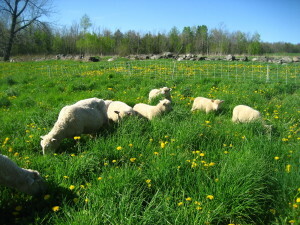 We farm because it is the best way for us to live by our ideals and give back. 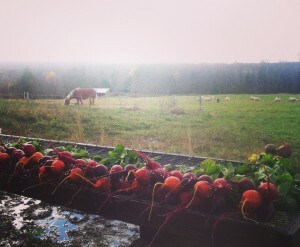 Our farming reflects our interest in building healthy self-sustaining communities. 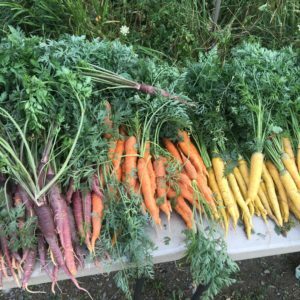 We sell our food at the Belfast and United Farmers Markets, Daybreak Growers Alliance CSA Share, local restaurants and wholesale accounts. We strive to produce the most nutrient dense food possible for our shareholders and market customers while at the same time minimizing our reliance on farm inputs from outside our bioregion. 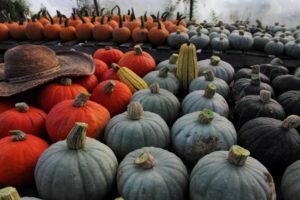 We believe that sustainable farming practices require paying attention to the agro-ecosystem of our farm as a whole, from the microorganisms in our soil that protect and nurture our crops, to our sheep and horses that fertilize our fields, and the native pollinators that bring our fruits to bear. 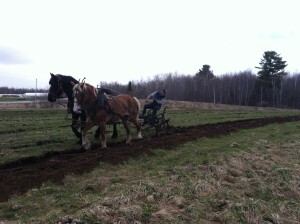 Our fields are worked by hand and by our Belgian and Percheron draft horses. SO WHAT’S THE NEW BEAT?